New business Nova Spa left us with an open brief to create a style and identity that would be used throughout their print and online branding. Getting inspiration from the space-like brand name, we created a ‘super-nova’ style option with an angular burst of colour behind white modern lettering, which our client loved. 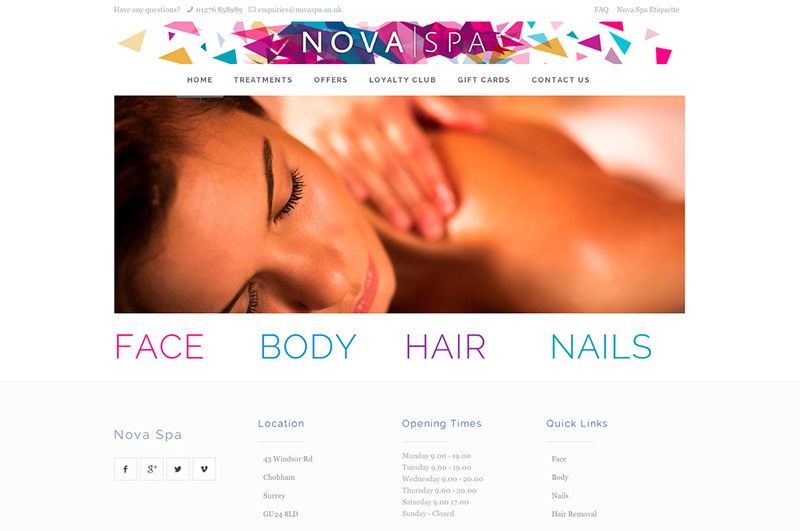 Online, we designed and built a mobile responsive website for Nova Spa that matched the styling of offline materials, allowing an easy point of contact via a form. A simple drop-down menu allows easy navigation for the user, with important information such as location and opening times (along with quick-links to treatment types) on the homepage. 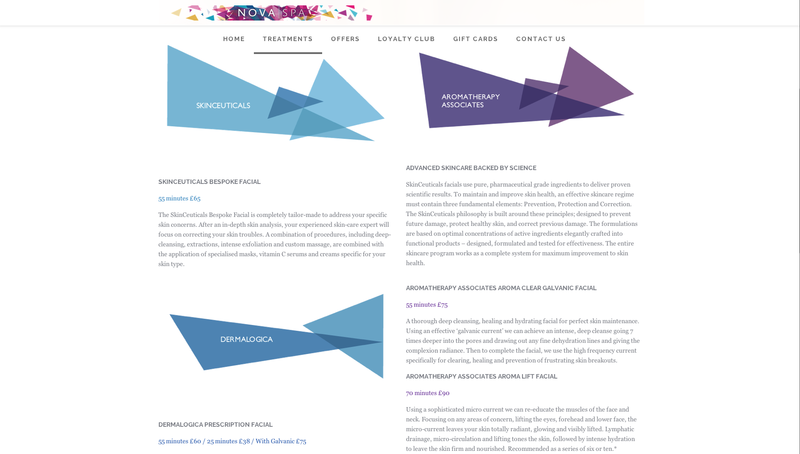 The treatment pages on the Nova Spa website were designed with a large header image with the title of each treatment highlighted with the use of triangular block which complimented the branding. Underneath, detailed information on each procedure is available for the customer. These were also used in the branded treatment menus which we also designed and printed to hand out to customers in and around the spa.